It is with great pleasure that I welcome you to the 2018-19 academic school year. Golden Valley High School is a very exciting and special place! I feel privileged to be a part of and serving our learning community. I am always inspired by the energy, excitement and commitment our students and staff demonstrate throughout the school day and then continue through the many afterschool, evening and weekend activities. Golden Valley students amaze us with their many talents and their commitment to the values of our incredible community. 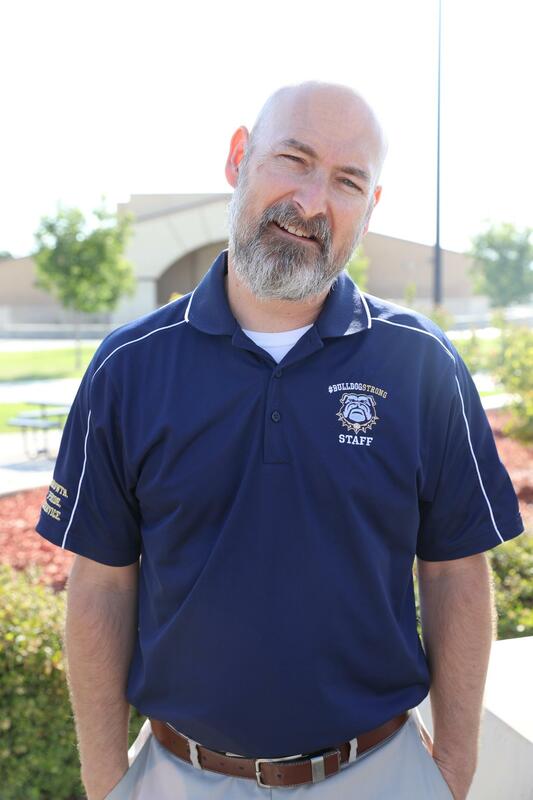 The mission of the Kern High School District is to provide programs and services to allow all students to graduate from high school prepared to succeed in the workplace or at the post-secondary level. For GVHS to meet this goal, we’ve committed to offering a comprehensive education which not only includes reading, writing, and math, but also such courses as woodshop, agriculture, choir, band, art, drama, and computer applications – which help develop our students into well-rounded citizens. Our teachers who instruct the same subject meet regularly in Professional Learning Communities (PLC’s) to coordinate the material being taught, share instructional strategies and best practices, and work on interventions for students who fall behind. Please help us this year in asking your child, “What did you learn today in (class name)?” They should be able to answer that in every class they attend, every day. GVHS has developed common expectations for student behavior in the classroom, on campus, and in the community. Termed #BulldogSTRONG, this "map to success" is a large part of the culture at Golden Valley. Over four years, we expect students to GROW, have PRIDE in their school, and be of SERVICE to the community. GROWTH-PRIDE-SERVICE or GPS is our Map to Success! These important concepts are shared via biweekly GPS lessons. We all benefit when our students walk #BulldogSTRONG!